Heart Disease is the world’s biggest killer. 1 in 4 people will die from heart disease or stroke. Heart disease is progressive and worsens over time unless you identify it and take action. A heart attack is often a failure of prevention that has been building up for many years. Currently, 70% of people will suffer a heart attack following a plaque rupture which blocks the flow of blood to the heart. Let’s get the information out to identify who is at risk – and take action to save their lives. Everyone has a basic right to this information! Heart Disease is the world’s biggest killer. Around 1 in 4 people will die from heart disease or stroke. We at the IHDA are working to change this – by taking advantage of the best technology. The world’s top experts in cardiology are aware of how important the Coronary Artery Calcification scan is – and how it can identify the genuine level of heart disease in any individual. This will enable the high-risk people to take action, and stop their hidden disease from causing a heart attack. In this three minute video, the top experts explain the basics of the scan. Currently risk-estimation tools such as the “Framingham Risk Calculator” are used to take a guess at whether an individual is likely to have a heart attack. In contrast, the Coronary Calcification Scan can directly see the disease level in the arteries of the heart. This scan result or “CAC Score” is far more powerful in assessing an individual’s real risk. It can take a huge amount of people and re-classify them from the vague “intermediate risk” into genuinely “high risk” or “low risk”. Crucially, it can enable the correct preventative treatment for those identified. The short video on the right explains. David Bobbett is one of Ireland’s most successful entrepreneurs. In 2012 he had a history of passing all his medicals with flying colors – and his doctors perceived him as “bulletproof”. But that was all an illusion, brought about by not having access to the technology that actually measures your true level of heart disease. Here in three minutes is the story of why he founded the IHDA – a shocking story, but one that is full of hope for everyone who is at risk for premature heart attack ! Find Out Where To Take The Test! 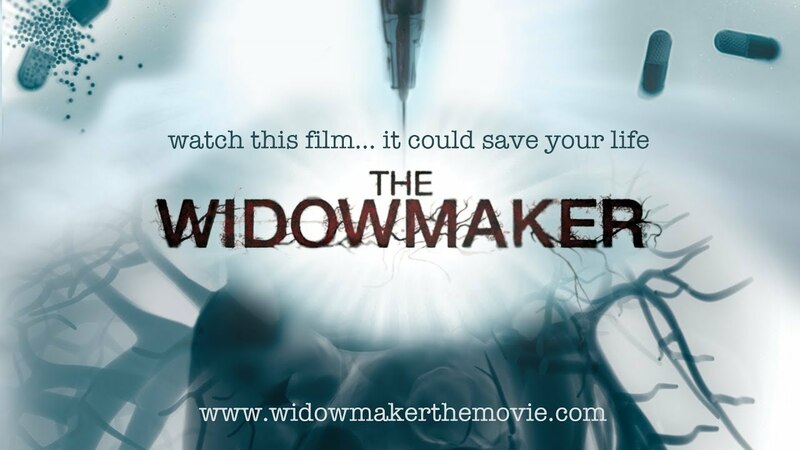 Feature Documentary "Heart of the Matter"
and short Vid "Heart Attacks - the Facts"
We funded A Feature-Length Movie Called "The WidowMaker"
Save a life today – share this vital information widely!